So when Posterlounge got in contact with me I thought this was a perfect company to work with, and create something really different and fill that space. Posterlounge are a German based company, and I don’t really ever order anything from another country as I worry about delivery cost and shipping problems. 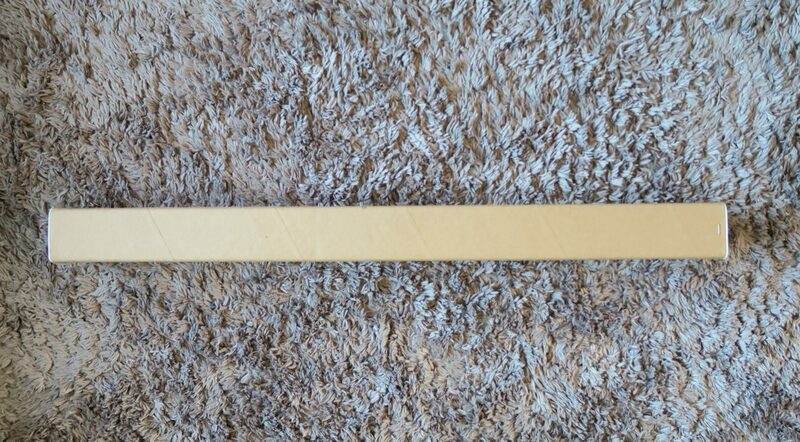 However the delivery was fantastic, arrived within 3 days, well packaged and they also offer free delivery within Europe. Couldn’t fault it at all. 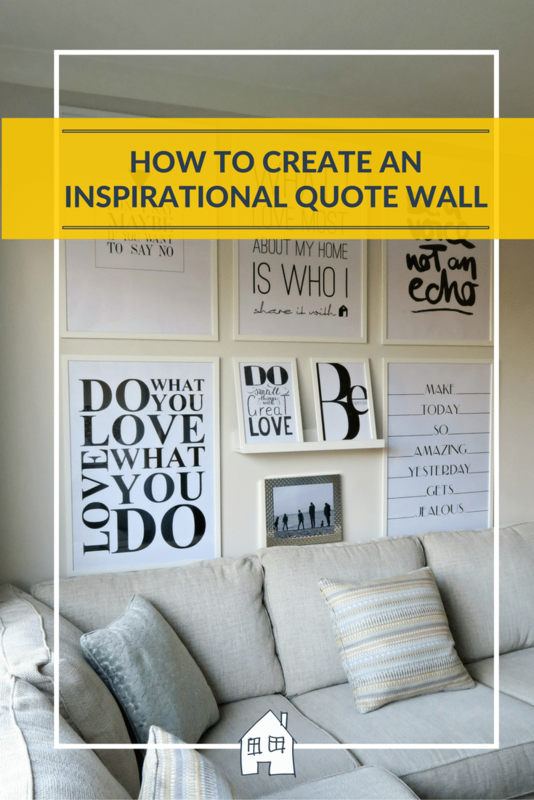 I wanted to create an inspirational quote wall, I have seen these types of wall art on my Pinterest searches, so I was keen to create something that meant something to me. Poster Lounge has over 1100 quote posters to choose from! However I was able to use the filters, and just select black and white versions to make it easier. They come in all sorts of colours, patterns, and sizes, so I had lots to choose from. I looked for quotes that I believed in, and quotes that meant something to our family. Yes they are huge! 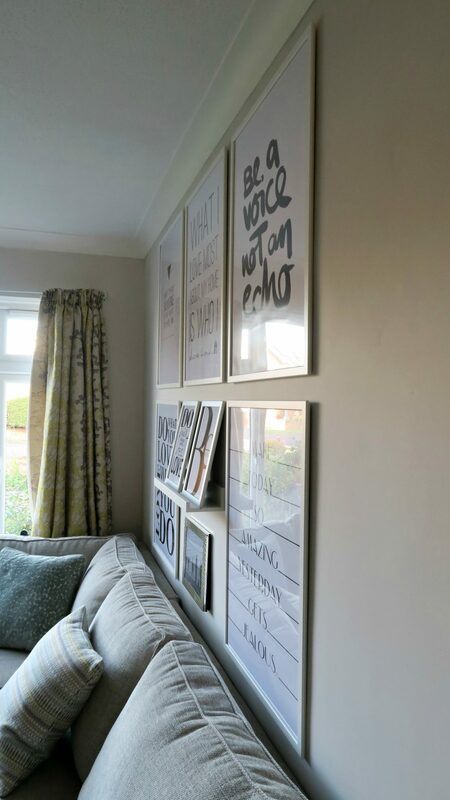 Make sure you do measure up your wall space, and the sizing of the posters when you are ordering, as they offer very big sizes! Some only come in this large size as their smallest size. As you can see I went for 5 (50 x 70cm) and 2 (20 x 30cm) posters. As I had two smaller frames, I wanted to make a point of picking them out, making it different, so purchased a picture frame shelf from Ikea to sit them on. I also choose a Me and Mine family photo to add into the selection, because this is what this is all about ‘family’ I choose a completely different frame on purpose! Don’t you just love all of the quotes, and I really do think it makes a positive impact on your thoughts when you see positive images like this. I wanted to make sure the frames weren’t thick and sitting forward, don’t want anyone bumping their head on them do we! All the frame came from Ikea, and the largest size frame was only £5 each. I am really pleased with my inspirational quote wall, here’s to being positive! It looks great! 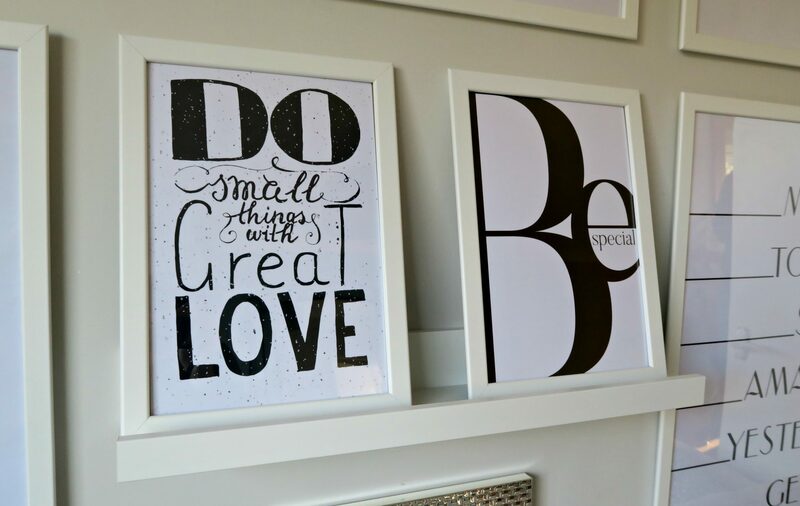 I love typography prints. 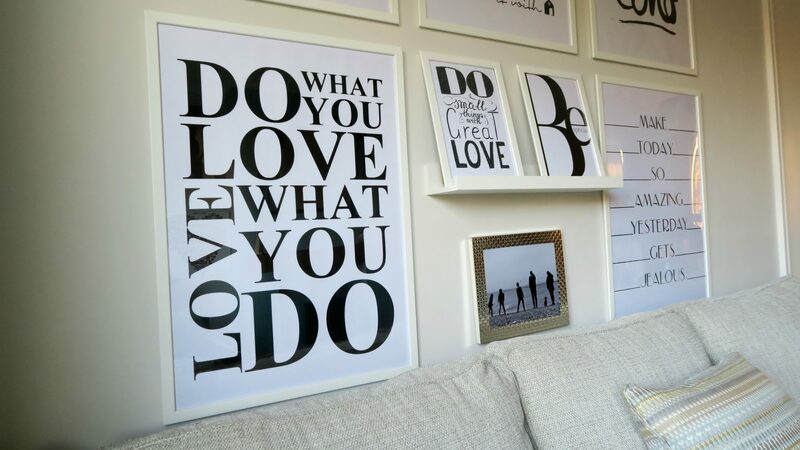 I love those Ikea frames – we have some for our posters as well. I like that if one of the kids knocked them down they wouldn’t break either the frame or the kid! Yeah that is a great point to make as well, they are acrylic and super lightweight as well, so yes your right no need to worry about any accidents. The wall looks lovely. 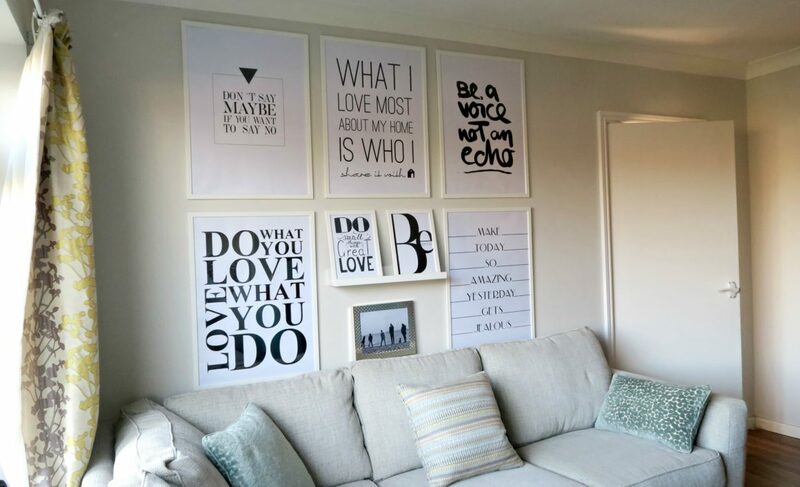 Think it is a great idea and a lovely alternative to photos, canvases or one wall sticker quote. As we rent we are limited with what decorating we can do and have lots of boring, empty walls so might give this a go ourselves. I’m really picky when it comes to artwork and I always worry I’ll get bored of it too quickly. However, I love typographic prints and inspirational quotes. So this gallery wall is right up my street. It looks great. And those frames were a bargain too. 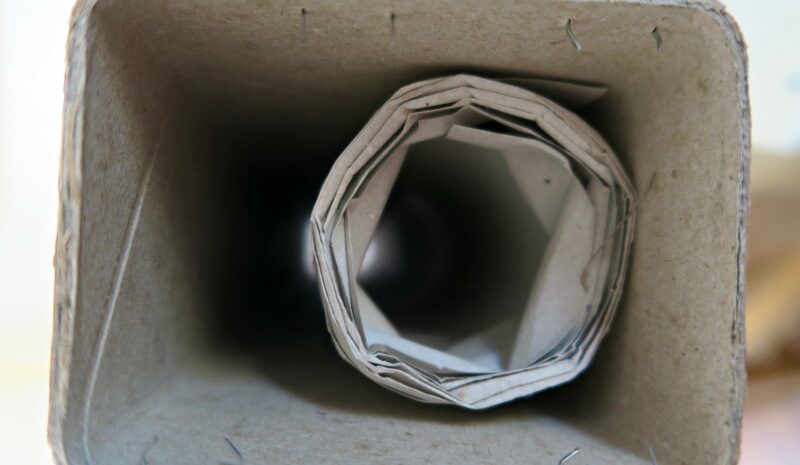 Well done, it looks great! 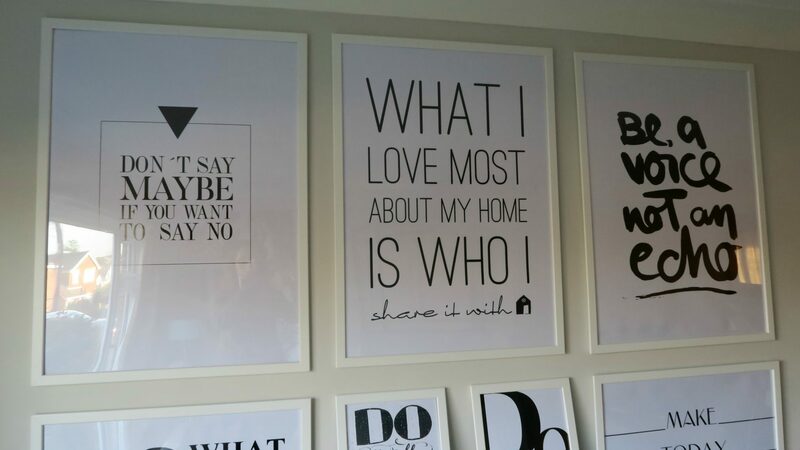 I love the idea of using positive quotes and the little Ikea picture shelf is a nice addition to the mix. Aw that looks fab! Loving the monochrome. 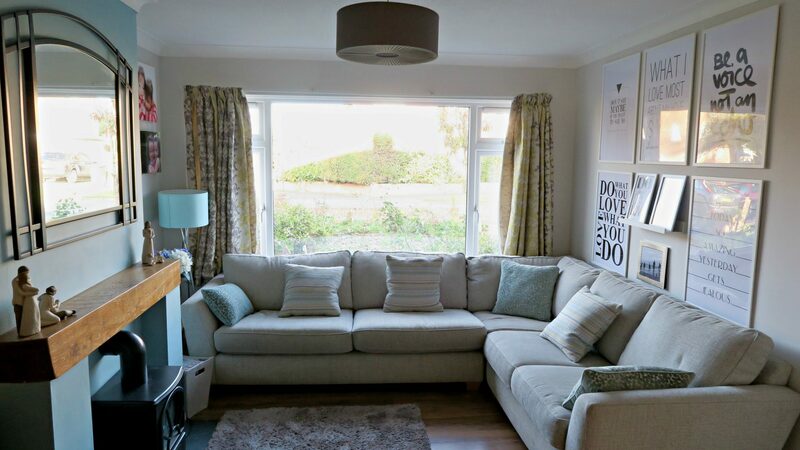 A room always feels a little more like home with something on the walls doesn’t it? These are so cute. I’d love to do something like this but never find the right quote for what I want. I love how you’d got a couple of a shelf which gives dimension to the wall. Looks stunning! looks so spacious and nice! i am jealous great style! Aww this looks lovely. I plan to do something like this last in my new study. I’m hoping it’ll make me more my dreams happen! Oh this is absolutely gorgeous! Not sure if I could have mine as low with all my little rascals but yiu have given me some ideas for sure!! It looks fab, here’s to positivity!